For most real estate agents, their business is all about sales. But for the most successful agents, their business is really about people. Barbara Koutnik has built one of the most successful real estate practices in the country by putting her clients first and foremost. During a remarkable career that has spanned 36 years Barbara has distinguished herself by knowing the Montecito and Santa Barbara markets better than anyone and by delivering a caliber of service that is unsurpassed. Specializing in service Barbara understands that she is sought after for her knowledge and expertise. Barbara never hands her clients off to a team of assistants. She firmly believes her clients deserve her personal attention and that is exactly what she delivers. She is uniquely qualified to handle all aspects of a transaction and has the invaluable work ethic to stand by her clients at every turn. Barbara frees herself to work directly with her clients by engaging a team of the brightest marketing specialists in the industry to ensure that the properties she represents are dynamically delivered to a global audience. Led by her husband who is a broker with over 20 years experience, Barbara’s marketing team consists of creative talent for both print and web, as well as Internet specialists who strategically position and promote her listings continuously, 24/7, until the day a property is sold. Barbara’s own marketing team is further enhanced by the extensive resources of the International Coldwell Banker family and network of client services. 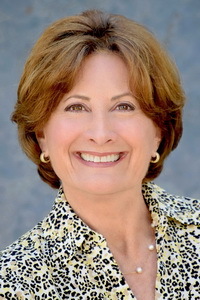 After living, working, and raising her family in Montecito for 30 years Barbara has a depth of knowledge and a wealth of resources that allows her to provide an unparalleled level of service. Property transactions often involve a whole host of other relationships that can often be overwhelming for the client. Barbara is always there to help. From the best professionals in escrow, financing and insurance, to architects, contactors, landscapers and handymen, Barbara’s vast knowledge and resources continue to benefit her clients well beyond the close of a deal. Besides building a successful career Barbara has raised her two delightful daughters here and donated many years of service to the Santa Barbara Junior League and its affiliate charities. Barbara is also a member of the National Charity League and has devoted many years of service to the organization. Year in and year out Barbara is in the top 1% of all Coldwell Banker agents worldwide. In fact, Barbara has been a top producer in each of the 40 years of her career and honored by Coldwell Banker’s Highest Awards.